“Putting People in Motion” and “Helping Others Help Themselves” were the mottos chosen by CRMC’s rehabilitation staff when the department was expanded and renovated in 2007. But those words are more than just mottos; those words describe exactly what happens in the therapy department. Childress Regional Medical Center is an area leader when it comes to physical rehabilitation care. Our staff of professional therapists takes great pride in watching patients progress with their therapy goals. They have a reputation for being “tough” because they care but they are also known for being the first to celebrate milestone victories with their patients. Therapy is appropriate for a variety of conditions: after a stroke or other serious illness, after orthopedic procedures, or certain congenital conditions. Maybe you or a family member has been injured in an accident and have some lingering problems. 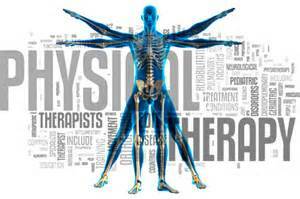 Your personal physician can help you decide if rehabilitation therapy is right for you. For more information, contact Justin Keys by e-mailing him at jkeys@childresshospital.com.